After the attacks on the Chemin des Dames in the middle of April 1917 the French army would go through what they would at the time term acts of collective indiscipline, they are known to history as the 1917 French Mutinies. These mutinies would occur in 4 phases in the spring and summer of 1917. 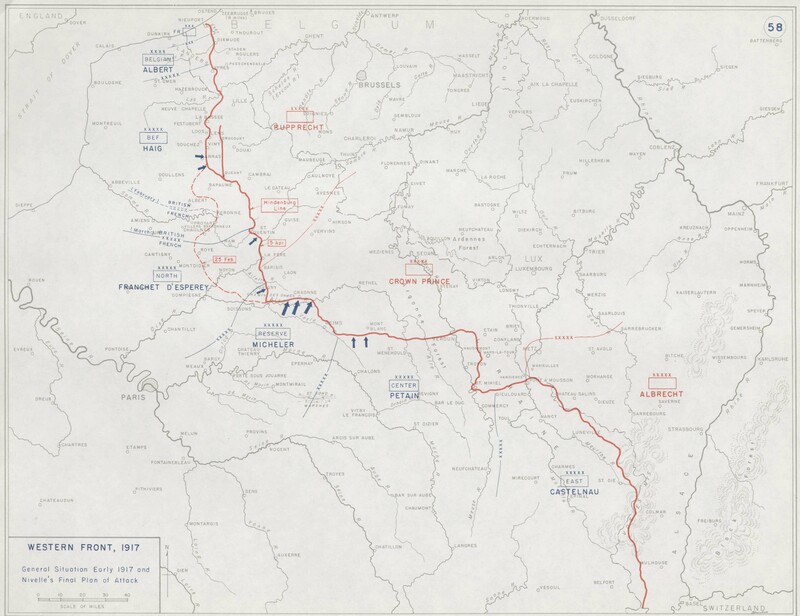 The first phase was from April 16th to May 15th which was also the time period of Nivelle's attacks, during this phase there were 26 incidents of mutiny. The second phase occurred when these mutinies spread to other units, with a further 46 incidents. The third phase would then occur in early June, when the acts of mutiny would escalate to violence, this would be the most threatening period for the French army. The fourth phase occurred over the course of the rest of June and July as the tension was reduced and order was fully restored. After the attacks on the Chemin des Dames in the middle of April 1917 the French army would go through what they would at the time term acts of collective indiscipline, they are known to history as the 1917 French Mutinies. These mutinies would occur in 4 phases in the spring and summer of 1917. 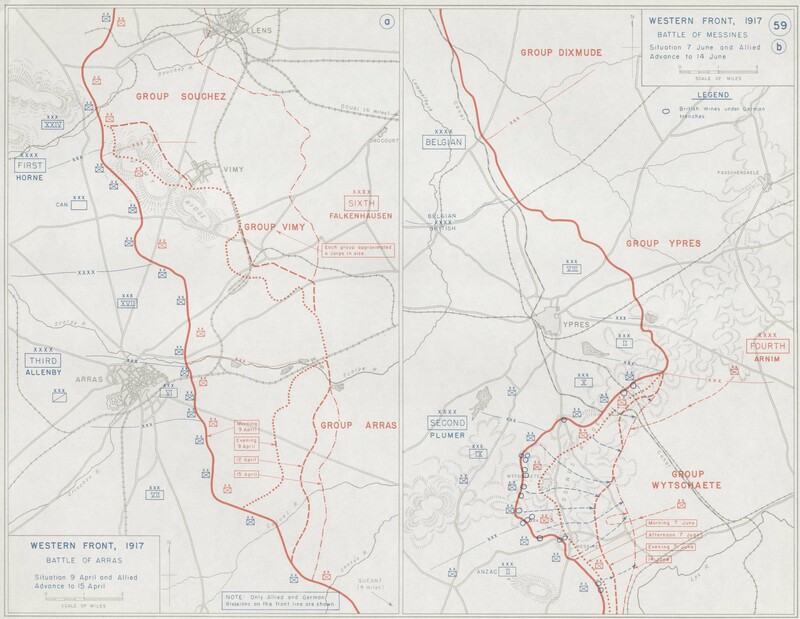 The first phase was from April 16th to May 15th which was also the time period of Nivelle's attacks, during this phase there were 26 incidents of mutiny. The second phase occurred when these mutinies spread to other units, with a further 46 incidents. The third phase would then occur in early June, when the acts of mutiny would escalate to violence, this would be the most threatening period for the French army. The fourth phase occurred over the course of the rest of June and July as the tension was reduced and order was fully restored. The causes of these mutinies were varied, and differed from one unit to another, what these units wanted from the situation was also slightly variable. However, unlike the situation in Russia there was never any real danger of revolution in France, or of the army completely abandoning the defense and this is what sets these acts aside from what happened in Russia in 1917 and in Austria-Hungary in 1918. Today we will discuss some of the causes of the mutinies, the changes that were made after Petain was brought in to try and curb them, and then the aftermath. There has been a lot of discussion in the last century about whether to call the events of 1917 a mutiny or the more general "collective indiscipline", for the purposes of this episode I have chosen to use the term mutiny throughout. The typical actions of the units involved fits the definition of mutiny because they would refuse to follow orders, some soldiers would also leave their units to try and spread the ideas of the mutiny, and the soldiers would also provide specific demands to higher officers that they said were required before they would continue to be soldiers. However, there are two big reasons that many have hesitated to call it mutiny. The first is strictly a publicity reason, the term mutiny sounds really bad, so the French government during and after the war would stay away from it and second was because there was always some restraint in the actions of the soldiers. Officers were almost always unharmed and they were almost universally treated with respect. This restraint is important, because it would shape the course of the mutinies as a whole. The starting point for the mutinies were the conditions under which the army, and particularly the infantry lived during the war. In 1917 the infantry actually made up a far smaller percentage of the total number of troops than it had in 1914, with the infantry of 1917 making up just 50% of the total while in 1914 they had made up 80%. While the war had changed the make up of the army the living conditions as the front were still really rough. A great way to look into the minds of soldiers as a whole is to examine trench newspapers that were constantly circulating around the units at the front. There were a large number of these and they would publish new editions on a frequent basis. Here are a few pieces describing life in the trenches. Our first excerpt is from Le Crapoullot which would discuss what it was like to live in wintery conditions "you need to have remained for six days and six nights of this winter sitting tight, your belly frozen, your arms hanging loosely, your hands and feet numb, you need to have felt despair, convinced that nothing could ever thaw you out again." In April 1917 La Saucisse would write that "There’s nothing like this during bombardments, an even more terrible ordeal; nothing else to be done but wait for death for hours, sometimes days.’ ‘There’s nothing more horrible in war than being shelled" And in 1916 the newspaper L'Echo des Tranchees-ville would write "Every poilu has known depression. It hits you suddenly, you don’t know why and you start looking for all the reasons for being sad. It’s a form of moral lassitude which comes over you. Everything is black. You’re even tired of living. Things outside you lose all interest." These hardships would then be joined with the losses experienced by the units during the fighting. The French would experience the 4th highest casualty rates of any army during the war. Their 16.5 percent would put them behind just Serbia, Turkey, and Bulgaria and the losses among officers were even higher at 19 percent of the total and 22 percent of those that commanded in the front lines. These losses, over a long period of time, would slowly chip away at the morale of the troops and in their belief in final victory. There was also just a general feeling of abandonment by the civilians back at home. The soldiers at the front often felt that they were being sent forward to suffer and die while the rest of France just sat back and watched, and they were also concerned that the government was not doing enough to take care of their families while this was happening. The infantry were under these conditions and under this stress for months at a time. They got far fewer stints of leave with which to leave the front than other armies, they were allowed only 3 weeks leave every year, leave that was often delayed because commanders did not want to let their men go during any possible moment of crisis. The general rule was that 5 percent of the troops could be on leave at any one time, but this was quickly reduced to 2 percent. Even when the lucky soldier was given leave much of their time was spent just trying to get home. The trains carrying soldiers that were on leave were not given any special priority on the crowded French railway system and this resulted in trains full of soldiers who were on their way home sitting in branch lines for hours at a time as other trains were allowed to pass. It may seem odd after discussing all of these problems that I will then turn around and talk about their enthusiasm for the 1917 attacks, however, that enthusiasm was present and very real, based strictly on their overriding desire to see the war end soon, so that they could go home. A Sergeant of the 5th Division would write that "we have confidence in the great spring offensive, which we must hope will be decisive because with Nivelle, we have an amazing man from the artillery who had proved himself at Verdun and in whom we have confidence." In an earlier episode I used a roller coaster analogy to describe the morale of the French troops in 1917, and I still feel like it was quite appropriate. With the hopes of the war ending soon morale and enthusiasm crested the hill in early April 1917, and by the end of the month it was rocking down the other side. All of these problems led to the mutinies. The most common manifestation of the early mutinies was strictly a refusal to take up positions in the front lines. The early mutinies, of which there were 26, generally took place close to the attack, generally in units that were directly involved and often units that were being ordered back to the front lines for a second time. These were often small in scale and short in duration. 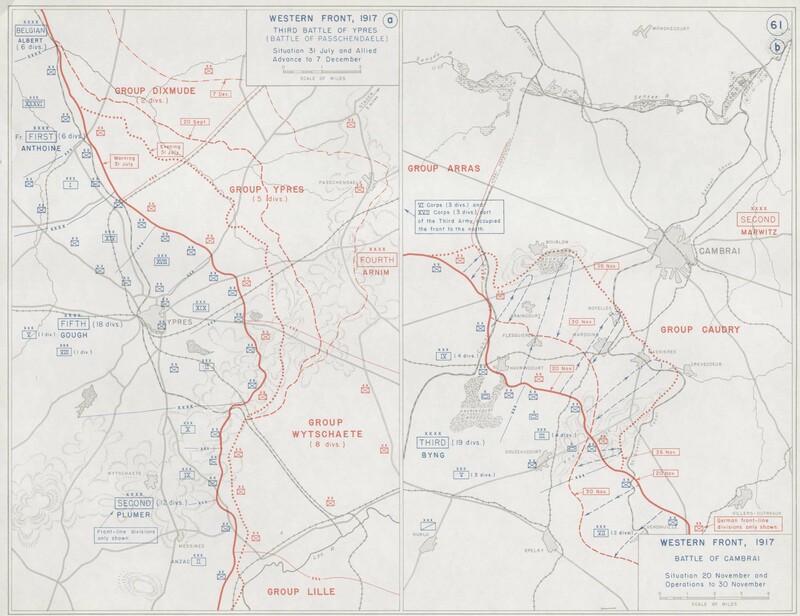 However in the last two weeks of May these spread out over the entire front, occurring in all five Army Groups, even those that were barely involved in the offensive. These were generally characterized as being a bit more organized, often with leadership groups that resembled the soldiers' councils that were happening in the Russian army at this time. The situation would vary from unit to unit but we will discuss just one division, the 5th division for just a bit. The 5th division would mutiny on May 28th, which was pretty much right in the middle of the time period of the general mutinies. They had actually been out of the line for 3 months before May 28th, and this had been their longest period out of the line for the entirety of the war. This gave them the time necessary to properly start questioning why they should go back in, and then to organize against it. When the division was ordered to go back to the front lines, the mutiny occurred. There were initially only a small number of actual agitators, and the majority of the troops would have went along with the orders. However, when it became clear that there were some troops who would not obey all the others stayed silent, and certainly did nothing to stop the others from demonstrating. This is perhaps the greatest thread tying the various mutinies across all of the units together, a total that would ready 54 divisions, a small number of very vocal mutineers and collective inaction by everyone else. Another thread that joined all the mutinies together was the desire to halt any further attacks. They simply refused to continue to throw themselves at the German lines, actions that had for 3 years resulted in nothing but complete failure. There were also more specific demands, they wanted more leave, better food, and better treatment of their families. Before we go too much further, I think it is important to contrast the events in France from those in Russia during 1917. IN both places the soldiers were organizing under their demands for somewhat similar changes. Better food, more leave, better treatment of their families were demands in both the east and west. In Russia some soldiers, especially those in Petrograd, turned these desires into violence and actively sought to change the government. This was something that the French political and military leadership feared, that the soldiers would organize and march on Paris. Much of this fear was because they believed that mutinies were caused by external agents, Germans obviously, that were trying to undermine the French war effort and the country as a whole. If this was the case they were then concerned that military units would be manipulated wand would not consider the real consequences of a full on revolution. However, this is where the greatest difference between the Russian and French soldiers lay, and it is all about how they communicated their demands. In France, the soldiers often wrote directly to their legal representatives in the Chamber of Deputies to get their complaints handled. In this action is the critical differentiator, the soldiers of France never lost faith in their government. They fully believed that the government in Paris was not only supposed to be there, but that they could and would help them if they asked. This sort of put a cap on what the soldiers would do, they would not actively sabotage their country, they would not actively seek to end the war as soon as possible but they would reach out to the legitimate government not in anger but in a search for somebody to support and help them. And the government would answer. What would turn out to be the most important response from the government is one that we have already discussed, the removal of Nivelle and his replacement by Petain. Petain was known to the French soldiers, he had an excellent reputation, and most importantly the soldiers believed that he would not waste their lives. They believed that he would look out of them because in the past he had always shown genuine concern for his soldiers. It is not too much of a stretch to say that he was probably the only leader that the French army had at this point that could bring this type of reputation to the highest command position in the army. To solidify this belief Petain would visit 90 divisions in person over the course of the mutinies. On these visits he would talk with the soldiers, he would listen and discuss their concerns, and most importantly he would outline what he was going to do about it. Later he would print a widely distributed article entitled "Why we are fighting." In this article he outlined some of the changes that were planned or already happening, and he also took a back to basics approach to outlining why the French were fighting the war at all. While these were the more public aspects of what Petain was doing at this point, he was also trying, and most succeeding, at keeping the full extent of the mutinies out of public knowledge. This helped to slow the spread of the mutinies but also kept their true size from the Germans. While Petain was trying to work his magic, the high point of the mutinies would occur during the first week of June. This is when the 54 divisions would be mutinying at the same time, with a particular focus around the town of Soissons, 100 kilometers northeast of Paris. This town was important because it was the location where many French units were sent during their time away from the lines but before they went back in, making it an obvious incubator for mutinous spirit. However, after the first week of June the mutinies would begin to subside, and the changes that were being spearheaded by Petain started to be implemented. Before we get to his changes, we first need to talk just a bit about discipline in the French army. This would be an important part of how the mutinies were handled. When the war started the French military was still using the 1857 version of the military justice code. In this code there were many actions that could result in capital punishment, although most were not held to that standard. Part of the reason that so many offenses that, by the books, should have resulted in capital punishment did not was that any capital punishment had to be approved by the President of the French republic, an obvious check on the power of the military. Due to the disaster of the 1914 battles, this requirement was temporarily removed so that the military could maintain discipline, however it was reinstated in 1915. In general military officers were not a fan of the regulations, but held to it, which often meant that they did not pursue capital punishment against men who were breaking the rules. So, you might be asking how this plays into 1917, well, in lieu of capital punishment many French officers fell back on other forms of punishment like jail time and stints of forced labor. These worked well in most circumstances, they got the men out of their units and exposed them to generally unpleasant experiences. But in 1917 when the mutinies started happening these punishments would not work. The men who were mutinying were doing so because they wanted out of the lines, they wanted anything but to go into the front lines, and so the normal punishments that accomplished this goal could not be implemented. Punishments would have been seen as an easy way out of the horrible conditions at the front, and that would just spread the ideas of the mutiny even further. When Petain took command he would convince the Minister of War, Painleve, to allow him to drop the need to consult with the President about capital punishments. Painleve did not initially want to do this, but Petain eventually convinced him after a very honest discussion about the situation at the front and the danger to the army as a whole. This resulted in Painleve officially revoking the right of appeal of all soldiers' cases of "collective disobedience" but also removed the President's right of pardon. This gave the military a free hand to then go in and begin to execute ringleaders of the mutinies in May and early June. There were initially thousands of these ringleaders that were rounded up and arrested, many of these soldiers were charged and stood trial and then somewhere between 40 and 60 were actually executed, our numbers are a bit flimsy on that last number. During this time Petain suggested that senior commanders stay away from the front, so that they would not be identified too strongly with the punishments. Instead junior staff members and officers were often the ones dealing with the units at the front. This insulated those higher up in the chain of command and preserved their credibility with the average soldier. This was the stick of Petain's changes, but there were also several carrots to go along with them. Other than visiting the units himself, Petain suggested that the officers and men at all levels meet on a frequent basis to find a level of understanding. He also wanted General officers and their staffs to visit the front frequently after the mutinies were dealt with so they had a better understanding of the situation at the front. He then also made it clear that he would answer many of the demands from the men, the smaller things were easy, better food, better accommodations when out of the lines, a suspension of the pointless attacks. The biggest changes would be around soldier leave though. The soldiers would not get more leave, and it would come on time, and Petain would also promise to give soldiers on leave preferential treatment on the railroads which would get them home sooner and let them stay longer with their families. He proved this promise by sending thousands of men on leave instantly. It is of course important to note that Petain was able to do these things, and defuse the mutinies seemingly with ease and with so little bloodshed because the men actually believed his promises and that he would make good on his word. One of Petain's promises was to change how the French attacked, and he went to work on this change immediately. He did not want to give up ground, especially the recently captured territory on the Chemin des Dames, but he switched over to a policy of just trying to hold onto the ground already in French possession, at least until the mutinies were under control. He knew that further attacks would be required in the future, but when these were done he planned to do them on smaller areas of the front, which meant that the total amount of artillery required would be smaller, even if the concentrations were far higher than in previous actions. While these changes were required by the state of the French army, these changes are probably something that Petain would have done anyway after taking command due both to his own beliefs in how attacks should be planned and executed and due to the state of France's manpower reserves. The French were doing everything in their power to get more soldiers to the front, they had extended the service age to 48, lowered physical standards about as far as they could, and were calling up classes early, but even with these changes they were barely able to scrape enough men together to keep their units at the front up to strength. In total there would be over 3,400 court martials due to the mutinies. 554 soldiers would be condemned to death, but only about 50 would actually be executed. All of the trials happened quickly, and they were all over by July 12th. There was a pretty quick turn-around for the French army and by July they were able to launch a small attack on the Chemin des Dames. In August they would launch another limited attack, this time at Verdun. While these attacks were small with very limited objectives they were able to show that the French army was still a functioning force. Many were surprised that these actions happened at all including the French government, many French generals, and pretty much everybody on the British side of the lines. 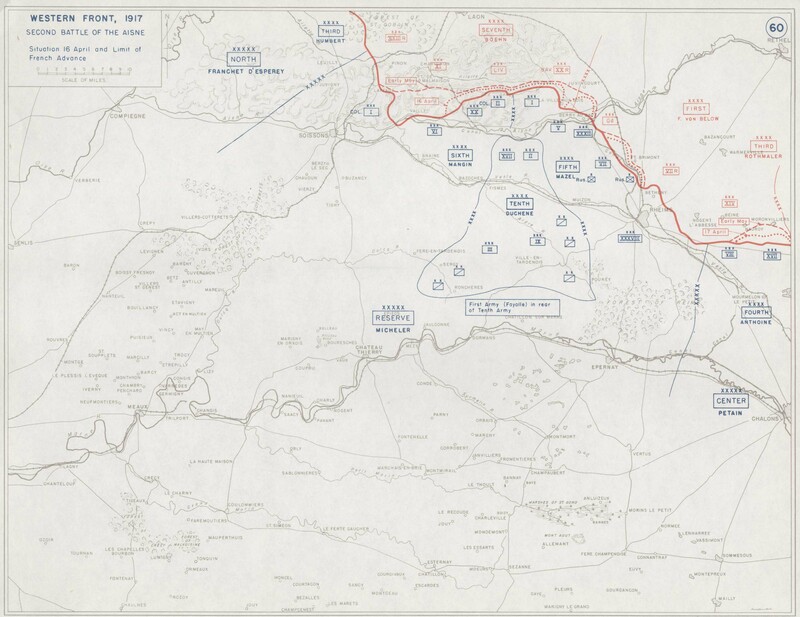 These small attacks would culminate in one of the Chemin des Dames in October which would capture many of the first day objectives of Nivelle's original offensive. After the mutinies were over a commission was setup in Paris to investigate the failure of the spring offensives and the resulting collapse in French morale. Over the course of the next 3 months they would create a 30 page document detailing the attack. They placed the ultimate blame on Nivelle for the attack and its failure, however they would not really lay into Nivelle in ways that they probably could have. They were quite light on criticism really, and some of my sources, particularly historian David Murphy believe that this is because the politicians were afraid that if there was too much criticism being thrown around somebody might also start throwing it at the politicians who were intimately involved in the run up to the attack. In post-war France Nivelle would even take a place of honest on the War Committee in March 1920 before then travelling to America as part of the French delegation to the tercentenary celebrations of the Mayflower's arrival in North America. Petain would write his account of the mutinies in 1926 giving three main causes first "launching and exploitation of a pacifist propaganda campaign", second the poor physical conditions at the front, third "a fantastic strategic overconfidence". He believed that the most critical piece of fixing the problems was just giving the soldiers better leadership. Overall, the mutinies and their aftermath is a topic that we still do not know the full story of due to the efforts of those in the French military to cover up the severity of the mutinies and how they handled them, and overall the mutinies as a whole are something of a black mark on the story of the war for France. Thank you for listening, and I hope you will join me next episode as well move north to Flanders where the British will take in the last summer of 1917, culminating in an attack on a little village named Passchendaele.